The Foden Lorry operates a 4 wheel drive system ensuring all round traction for accessing the track. It is capable of both accessing the track and travelling to site under live OLE. The MEWP basket can carry 400kg and will accommodate 3-4 people and small tools for completing works. 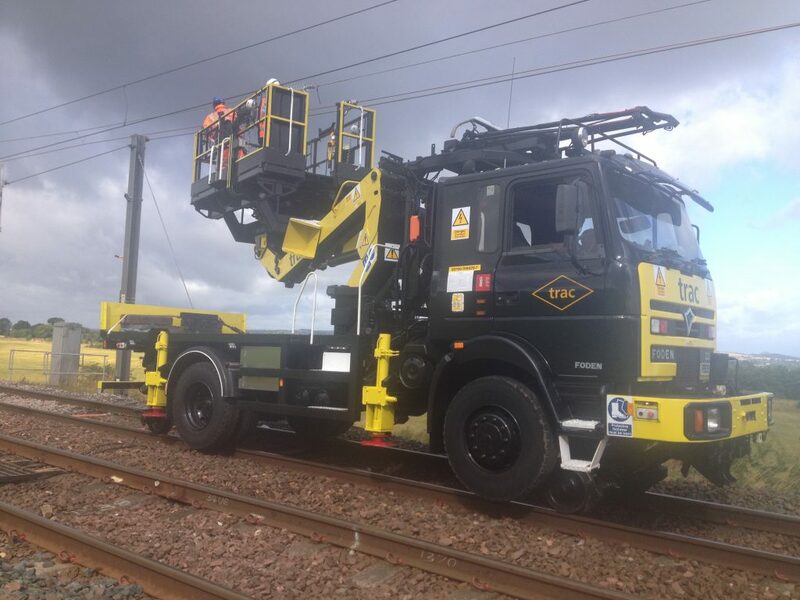 When in working mode on track, the access platform can extend 6m from the running rail and 8m high from the track. The roof mounted pantograph is used for contact wire height and alignment. It is controlled by air pressure to ensure a smooth and constant pressure on the contact wire. The lorry based concept allows travel from site to site by road, avoiding expensive haulage costs.